Toby's Foundation (TF)is proudly sponsoring a grant entitled "Identification of Epilepsy-Causing Mutations in Australian Shepherds" for Dr. Hannes Lohi and his research group at the University of Helsinki, Finland for one year for $10,000, Toby's Foundation, TF Grant Number 5-2011. In collaboration with Dr. Ned Patterson and his team from the University of Minnesota who recently mapped the first epilepsy (IE) locus in the Australian Shepherd (AS), Dr. Hannes Lohi will utilize the latest next - generation sequencing approaches to identify the gene(s)causing or contributing to epilepsy in the AS. 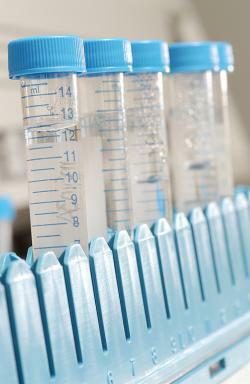 The latest next-generation sequencing recently became available and is already being used in Finland. Dr Lohi will sequence genes in the area of the Chromosome that Dr. Ned Patterson and his team recently got the significant hit on. Dr. Lohi says that "identification of the epilepsy-causing mutations would enable us to develop genetic tests for AS for breeding purposes. It would also improve our understanding of the pathogenesis of the disease, and provide a novel candidate gene for other IE breeds and as well human IEs." 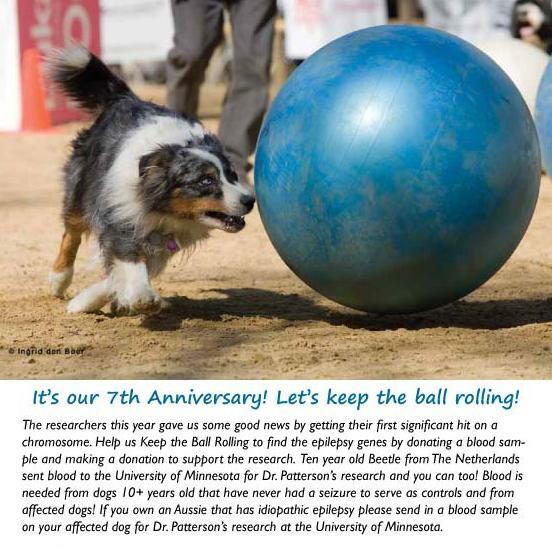 Our 7th Anniversary is fast approaching and our anniversary theme is "Let's Keep the Ball Rolling" for Aussie epilepsy research and that is precisely what we are doing by sponsoring a TF grant for Dr. Lohi. Please see our current ad in the July/August 2011 issue of the Australian Shepherd Journal and Aussie Times and on facebook and our website. We want to thank CA Sharp, President of the Australian Shepherd Health and Genetics Institute (ASHGI) and the Board of Directors of ASHGI for their generous donation to co-sponsor this Toby's Foundation (TF) Grant Number 5-2011 for Dr. Hannes Lohi for Aussie epilepsy research. We very much appreciate ASHGI's support and their commitment to the health and well being of the Australian Shepherd. If you are interested in helping to sponsor this grant or any others please email us at tobysfoundation@tobysfoundation.org for information.